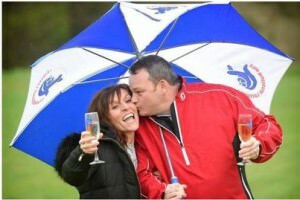 When Donna and David Hendry won £4 million back in January, their plan was to extend their home. But they realized they needed really bigger digs and have bought a £300,000 five bedroom home less than half a mile away from where they currently live. The new home looks to be a better fit for the couple, having a double garage for the two new cars they have since bought. The couple have resigned from their lives and are busy enjoying their new found wealth. They say they need to keep a level head though for the sake of their 12 year old son.